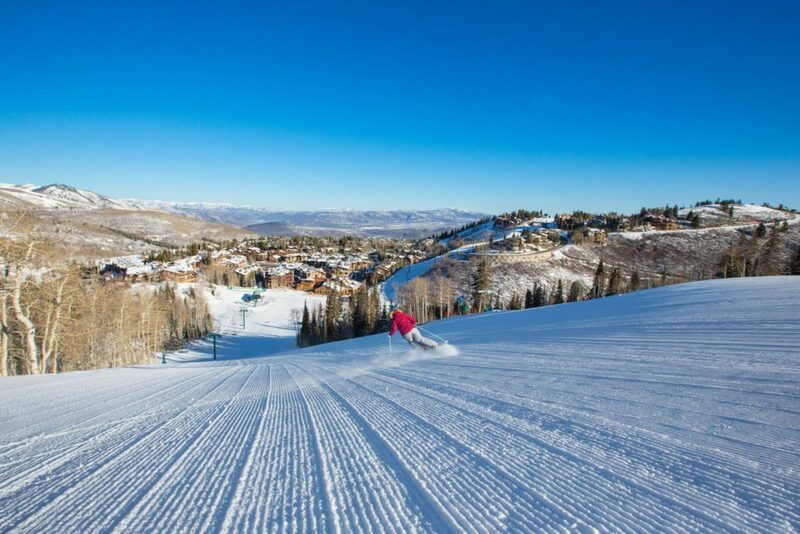 I always get the question, “How many days do you have to be at Deer Valley?” I find this interesting because it’s not like you have to pull teeth to get me up to Deer Valley. I respond with “most days” because if I’m not with a client, press or a corporate group, I’m with friends and family. With all these options I’m usually there every day. I also like the quote; “I haven’t seen you around much.” Well I ‘m skiing in a different outfit each day (I know, rough) and my office is a BIG playground. I don’t ski in the same place all day or every day. Another good one is, “don’t you get tired or bored?” How can you get bored when you’re with different people each day and share the experience of skiing? Yes, if you ski every day you will get tired, but it’s nothing a good night’s sleep can’t cure. This past Saturday set a record for myself, I skied with 15 friends. The highlight was my friend Gwen coming out of ski retirement after 4 years. Believe me, this was not an easy group to join for a “come back”. 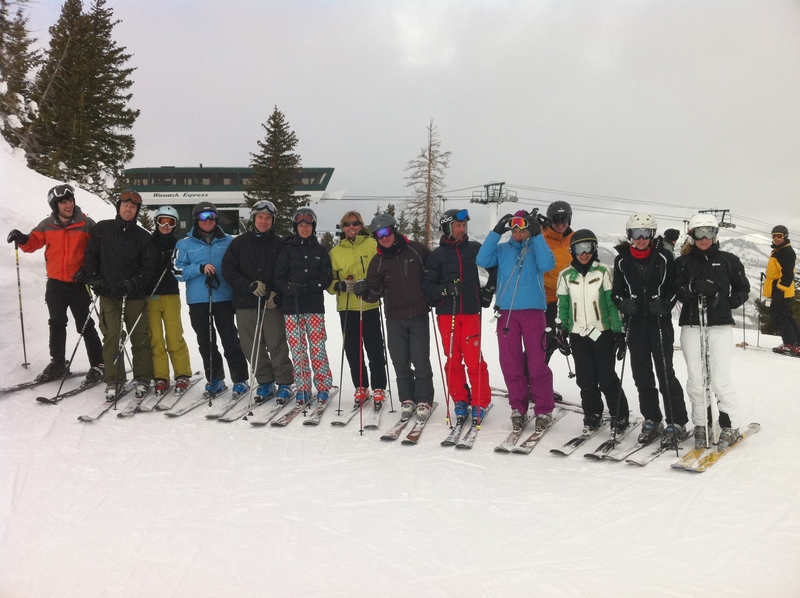 I really enjoy skiing with friends and family because I always go to the back of the group. Skiing with a big group can be intimidating. Someone always says, “I don’t want to hold up the group.” My reply is, “the chairlift isn’t going anywhere.” Skiing is actually a great group sport. 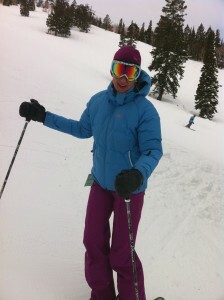 Everyone can ski in their comfort zone (and should) and meet at the bottom and join back up for the lift ride. This is why I like to be the “sweeper” with friends. I feel this takes expectations off and when my family and friends ask Heidi where are we going next. I smile and say “I’m not in charge today.” Skiing can be just as fulfilling in the back of the group as it is setting the pace. You wait a moment until its clear then take the stage. A few days later, I had a corporate group in the afternoon. I set my record high with 25 skiers! HELP Mountain Hosts! We did it AND we all stayed together! As I skied with my friends in the morning (locals) I thought this is a great day, I need to write about this. Usually when a big group of friends get together and ski it’s during a planned ski vacation. 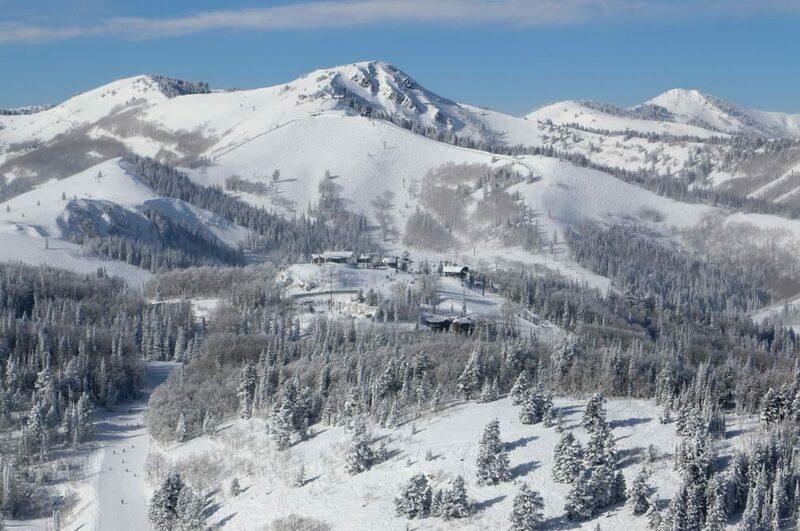 Here, we are living in a great place and get to ski with each other as our kids are in race programs…how lucky are we? So, if I was going to write about skiing with friends I wanted a quote of the day. My friend Greg didn’t let me down. “Stop talking! You can talk on the chairlift.” This is the intensity the group had. Gwen, Alane and I just happened to be girl chatting as we got off the lift before we selected the run. 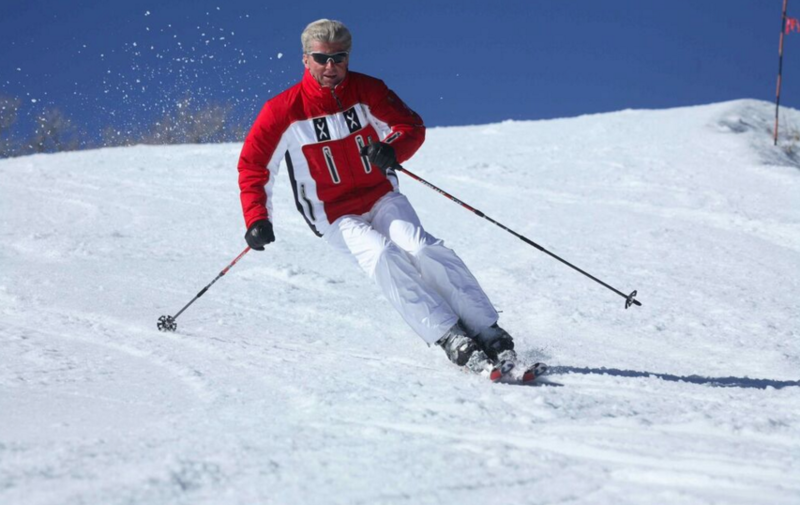 So of course, after that comment I skied behind Greg and talked the whole way down. HA. In the end, the group stayed together, everyone had a great lunch talked about the morning ski. That amounts to a perfect day with friends.